For now and for the next 14 or so years…August is going to be synonymous with the summer wind down and back to school! This means a lot of different things to many of us. For me – this year- it’s the start of Preschool for my son, Kindergarten for my daughter, Soccer practice, gymnastics, swim lessons, work travel, team trainings and more. There are so many areas in life that I could come up with excuses as to why I don’t have time to exercise or eat healthy. But here’s the deal – those are all just EXCUSES. And I’ve learned through experience…you can have EXCUSES or RESULTS – but not both! From Day 1, these 30 minutes I give myself have been what allow me to give to others. Its not selfish to make time for a 30 minute workout and my goal is to teach you HOW I do it and have consistently done it to turn it into a balanced, sustainable LIFESTYLE. If you’re ready to toss the excuses and you’re looking for RESULTS then I invite you to my next challenge group – BACK TO SCHOOL BACK TO YOU!!! And if you’re worried about eating “rabbit food” – forget that one too…You will not be hungry!!! We will begin on August 22nd and enrollment is open now! If you’re already anticipating those busy weeknights with homework, after school practices, early weekend games and are thinking there’s no way you’re going to be able to squeeze in some “ME” time – then I ask that you accept this challenge! Allow me to help you with your meal planning, toss in some new crockpot ideas, focus on the prep work and figuring out just how 30 minutes can be found in every day through our online support group! If I am your coach EMAIL: MAEGANBLINKA@GMAIL.COM to be added to the group! 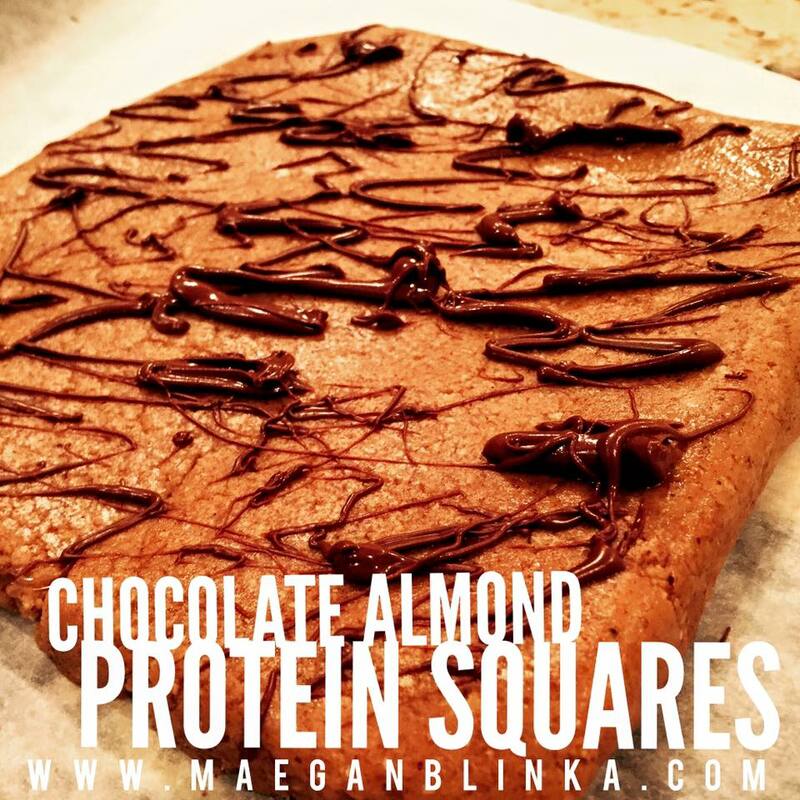 Now this is a recipe that will be making its way back to the meal plan again!!! Obtained from the Country Heat nutrition guide – this was a family hit! Simple, clean, gluten free and full of flavor! 1. Heat oil in medium skillet over medium-high heat. 2. Add onion, bell pepper, and sweet potatoes; cook, stirring frequently, for 8 to 10 minutes, or until onion is translucent and sweet potato is tender-crisp. 3. Add turkey; cook, stirring frequently, for 5 to 6 minutes, or until turkey is cooked through and sweet potato is soft. 4. Add garlic and thyme. Season with salt (if desired) and pepper (if desired); cook, stirring frequently, for 1 minute. * I doubled this recipe. I love green peppers and onions so I added 3 of each yet instead of doubling the sweet potatoes I only did 3 of those. ** My pan was not big enough for the double recipe so I actually cooked the veggies in one pan and the turkey in another and then combined and simmered the last few minutes. *** Note: The serving size provided was 3/4 cup for the containers listed above providing 4 servings – however I found my recipe when it was said and done to have nearly 1.5 cups for 4 servings yielding 1 yellow, 1 green and 1 red. Use your best judgement! If you’re interested in learning more about Clean Eating and/or my next Country Heat online accountability group, fill out the application below for more information!!! Who’s ready to join me July 18th for my 4-week Love Yourself SUMMER Kickstart Challenge? We will start with 7 days of PREP complete with meal planning, new ideas, recipes and tips to help you get up and running followed by our 3 week – 21 DAY Challenge! Traveling? Vacation? Weddings? Company? NO PROBLEM!!!! This is about finding ways to create a healthy LIFESTYLE with balance, fulfillment and RESULTS! This group will combine both FITNESS & NUTRITION. I am highlighting the 21-Day Fix and Fix Extreme this month as these two programs have been the most KEY in helping not only myself but the majority of my challengers but we will discuss what is best for YOU! You can expect sample meal plans during the group but you’ll have the freedom and flexibility to make these specific plans fit YOUR lifestyle. This group requires that I AM YOUR COACH & that you commit to a fitness program that we will decide on together. Each participant will replace one meal with our nutrient dense superfood meal replacement, Shakeology and I’ll provide you with the support, motivation and drive to not only COMMIT but follow through with your commitment. There will only be 15 participants selected this round so it will be based on a first come first serve basis!!!! Anyone who enrolls by the end of day July 15th will be entered into a drawing for a $25 Amazon gift card. Fill out the application below, invite some friends & get pumped up!!! What program do you do next? I’ve had a lot of people ask me about the next program I am going to complete. I spent December – February rocking out to Hammer & Chisel (8 week program and 4 weeks of the Chisel guide) followed by 8 weeks of 22 Minute Hard Corps…so the big question is – what’s next? This is honestly a tough one for me…and I’ve been thinking a lot about it. 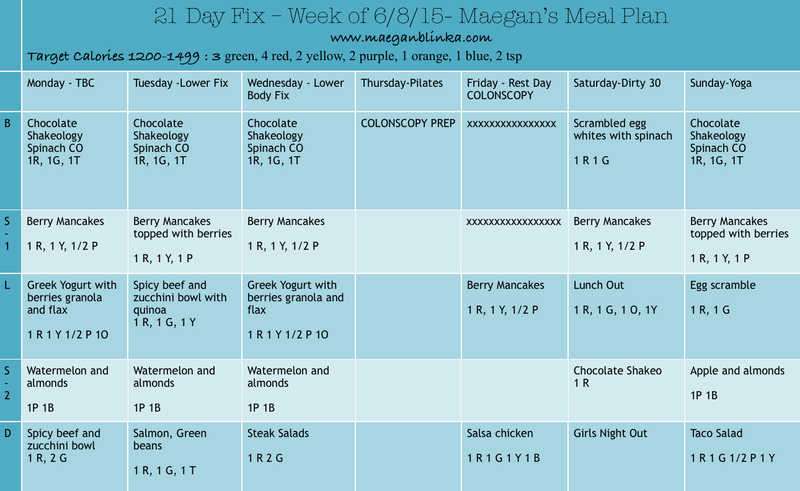 At first, I was going to jump right into the 21-day fix. With summer fast approaching I know this program will get me to where I want to be. Its my “soulmate program”. The one that got me hooked on living a healthy balanced lifestyle and the one that helped me lose those post baby pounds!!! Then I thought about PIYO. I’ve done this the last two summers and enjoy ditching the weights and using my own body weight to work myself towards new boundaries and find new strengths. It challenges me in a new ones – one like no other program and I get to combine my love of yoga with fat & calorie burning low impact cardio! But when I got down to picking something to kick off with tomorrow – I opted for the dabble route! There are so many amazing workouts at my finger tips with Beachbody On Demand through the Club Membership and I LOVE the change up. New trainers, new workouts, new muscles, new soreness, new results. I thrive on training my entire body and switching it up. 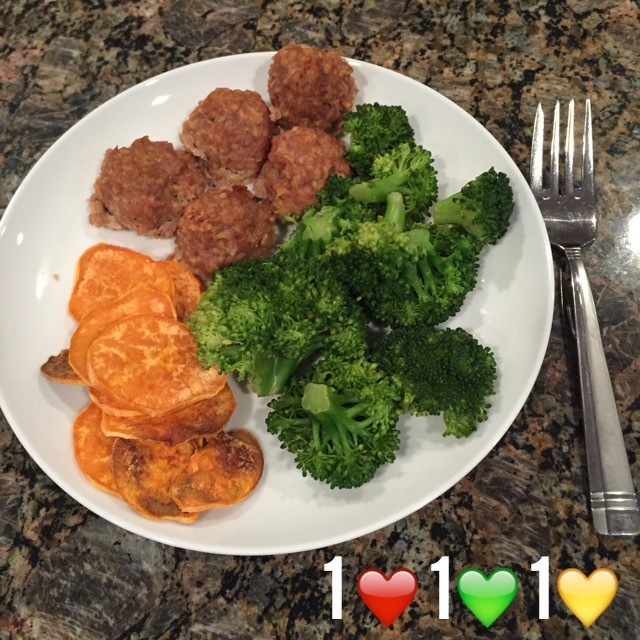 And while the 21-day fix gets me there…I like the variety too and options available on demand! On Demand offers a Challenge Du Jour so you can still “follow a program” but switch things up too! And honestly – that’s what I love about my home workout programs! I have the ability to choose what to do when to do it! I have some of the best fitness trainers in the world at my fingertips to help me reach my goals! But no matter what program I follow – the KEY is the nutrition. I adapted the portion controlled “system” nearly 2 years ago and it has become my way of life. Yes I sometimes veer of course. And yes there are those really rare days that I just plain old eat like crap! But I live and learn and move forward. So matter what tune I am exercising too – I will be fueling my body with the foods that make me feel like supermom…afterall – don’t we all need a little extra super powers here and there!!! Tomorrow kicks off my DROP 10 Challenge and I want to invite YOU to join ME and a few other ladies as we prepare for the launch of SUMMER and finding that inner confidence to look and feel good this summer! Apply below for a spot! But…I’m here to tell you – its an investment worth making!!! And when I started surrounding myself with other women – other moms who had similar struggles as me but also similar goals as me – I started to get RESULTS! I saw how this regular exercise improved my mood – how eating the right foods increased my energy and how support can really pick you up after the worst of days. It started with the commitment to a challenge group almost exactly 2 years ago today! I decided I was ready for that change and I have never looked back and it has been my mission to help others experience what I have experienced – from the inside OUT! To experience feeling comfort in their own skin, pride in the bod they’ve been blessed with by God and confidence to be the mom they want to be! This group is a private online support & accountability group where work together to find the right program to help you reach your goals. Each participant is required to replace 1 meal a day with Shakeology. My goal is to teach you BALANCE. How to choose the right foods in the right portions to FUEL you throughout the day. I will share various tips and tricks to help you stay motivated and on track to meet your goals! Each day you will “check in” to the group. Some days include an action item, some are more food for thought, recipes, motivation etc… but the key is you hold yourself accountable to that daily report on your day! This is the key – this is where the results come into play! I would love to have you in my next group! Please fill out the application below and I will be in touch right away! Its no secret – I. Love. My. Mancakes. Here’s the real deal – I actually love pancakes but I have a hard time putting anything into my body that has ZERO nutritional value! So I put a halt to the classic pancakes a while ago but I have found the best solution: Mancakes! They’re a gluten free combo of: Oats, egg whites, berries, banana and naturally flavored with some pure extracts and cinnamon! They’re filing, no need for syrup, and my 2 year old insists on them DAILY – #mommywin! Now: The only downside is – they take FOREVER to cook! Partially because when I make them I made a quadruple batch (which yields around 32-35 pancakes) and I don’t like to dirty more than one pan – but nonetheless – time is precious! My husband and I both had these on our WEEK 1 HAMMER & CHISEL MEAL PLANS and I decided there was no way I could stand and flip that many cakes! So I whipped up this little Mancake Berry Bake this week and it tasted like a blueberry muffin and I’m kind of thinking this is going to be my new thing! The consistency is dense -like a cake/muffin but full of flavor! I’ve been enjoying these post-workout/Recovery shake for Meal #1 followed by my shakeology. This has been working these last four days to keep me energized and full after these intense Hammer & Chisel Workouts!!! Combine all ingredients in a blender and blend until smooth (you’ll see some oats but that’s okay!!!) – Now in my first go at these I forgot to add my blueberries – so I sprinkled them throughout and baked – I feel like this gave them more of a “muffin” feel opposed to blending them all together! But my little guy prefers them blended smooth!! Break into 4 pieces and now you have 4 breakfasts ready to go! Hot or cold – these things are AMAZING! Whether you’re following the 21-day fix or Hammer & Chisel or Insanity Max: 30 or CIZE – this recipe will fit your meal plan!!! I have them planned out to give me: 1 Yellow, 1 Purple and 1/2 Red with each serving. The walnuts would be counted as a blue if used! 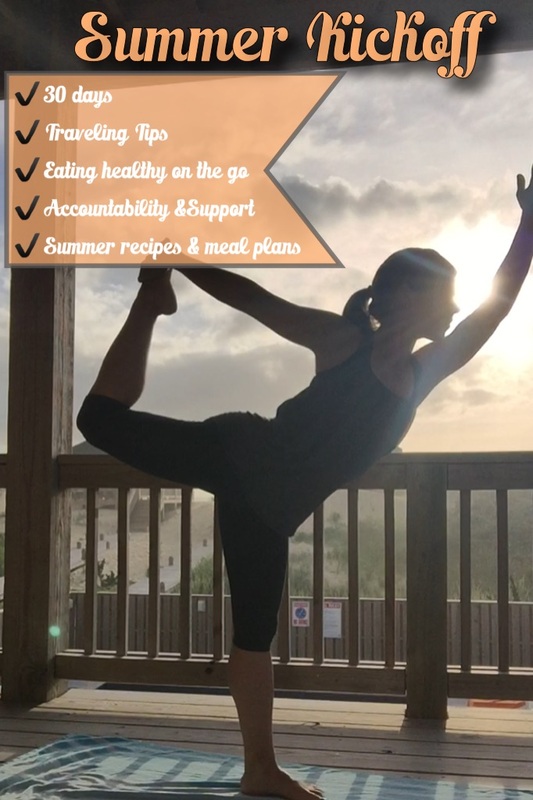 If you’re looking for some new recipe ideas, or meal planning tips or maybe just some accountability to stay ON TRACK especially when times get tough – then join my next online Health & Fitness accountability group! My next group is now forming and I am looking for more women who would benefit from the support network and accountability of achieving their goals TOGETHER! While there’s a first time for everything and we the hubby and I experienced a HUGE one Sunday night…we did NOT get desert at the Cheesecake Factory! Ok – so perhaps, strangely, this is no big deal to some but this was our favorite date night spot – we would indulge on anything and everything and ALWAYS get our own slice of heaven. But times have changed and while we enjoyed a healthy, balanced, portioned lunch when the decision time came we both realized – we didn’t need it – it wasn’t worth it! Not to say I’ll never eat a slice again – I’m sure I will – but not this time! But I also knew I could make something that would satisfy the sweet tooth and not break the belt buckle!!!! That being said when this recipe popped up in my open FIXATE book we decided this was the time to give it a try…but we were missing a few ingredients. 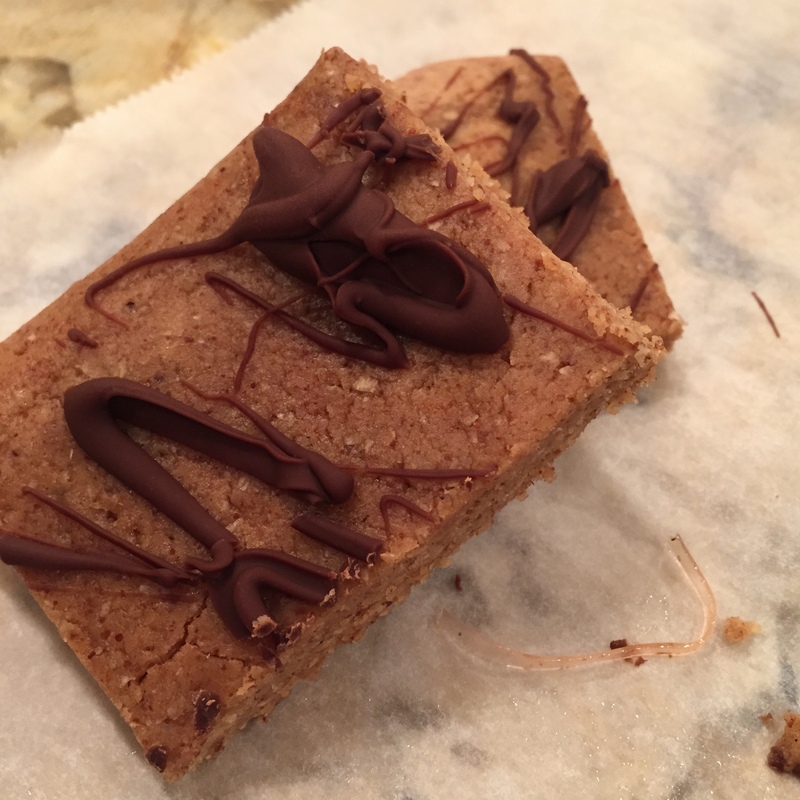 I stocked up and am happy to report these were fast, easy, and ummm – AMAZING! I immediately had to dive in and all I could think of was: Hello Quest Bar replacement!!!! I love quest bars, love love love them but I loved these even more so and I know everything that went into them!!! This recipe is from the new cookbook FIXATE, by Autumn Calabrese. Autumn also created the 21-day fix and 21-day fix extreme workout programs which incorporate 30 minute workouts with a portion controlled nutrition plan. No matter what your age or weight or current athletic ability – anyone can eat right for their body type! She includes a variety of Vegan, Vegetarian, Gluten Free and Paleo recipes. One week down…2 to go!!!! I’ll be honest…I thought I was kind of sort of going to breeze through this program since I had been used to the Extreme program however…that was not the case!!! This week really challenged me but-I did the best I could, used the highest weights I felt I could handle and when I needed to…dropped down! I had one small hiccup on Tuesday as I found myself with what I self-diagnosed was turf toe. Out of NOWHERE my left big toe was red, hot to touch, swollen and very painful. I asked around and while the general consensus was gout – I have pretty much zero of the common causes for gout and much more likely to be turf toe. 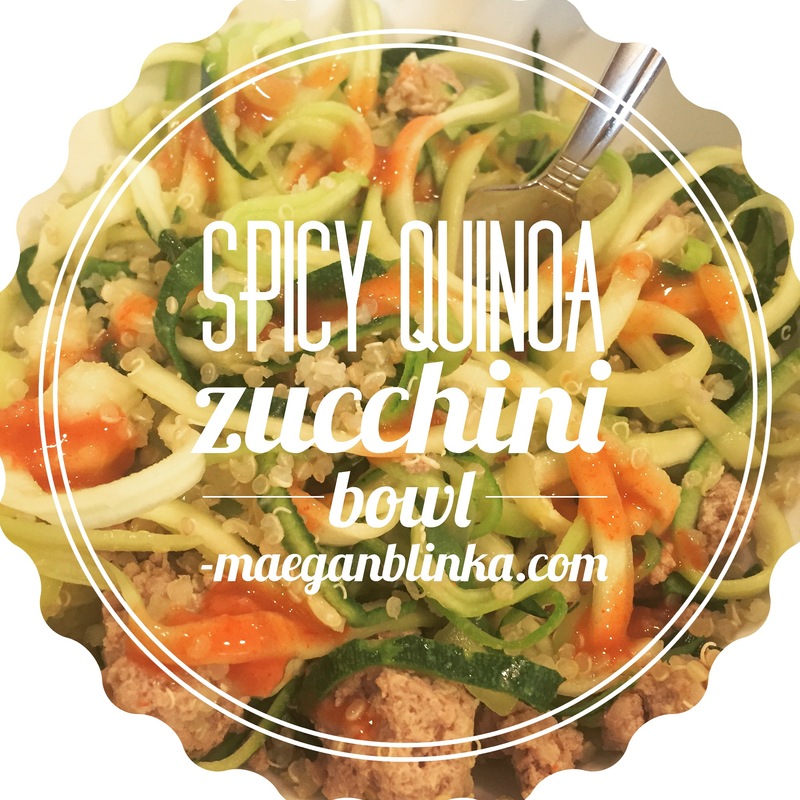 Regardless I took a much needed yet dreaded REST DAY Wednesday, prepped some meals tried this new recipe for SPICY QUINOA AND ZUCCHINI BOWL and more importantly rested my foot! I’ll admit I missed my favorite Dirty 30!!!! But I’ll get it in this week for sure!!! Yes – you read that right – this 29 year old heathy mama has a scheduled COLONOSCOPY!!! After having huge successes last year with the addition of my superfood magic potion Shakeology and the switch to clean eating I was completely taken off all of my Chron’s disease meds and this will determine whether or not I can forgo these lovely procedures until I hit 50 like the rest of the population! As anyone who has ever been through one of these before knows, the prep is far from enjoyable and while I am in no way looking forward to Thursday I cannot wait to hear the results Friday morning! That being said if anyone would like to join me in a little SUMMER KICKOFF next week I’d love some accountability partners!!!! Whether you’re looking to lose those last 10 pounds and slim down for swim suit season or tone up or begin a journey to a brand new YOU – it all starts somewhere and it starts with the decision to CHANGE!!!! *Daily motivation, support and most of all ACCOUNTABILITY!!!! I’m opening 10 more spots…don’t miss out!!! Fill out the application below for a spot!!! Oh, and it just so happens that the 21-day fix + 3-day refresh Challenge pack is on promotion this month…coincidence…I think not! 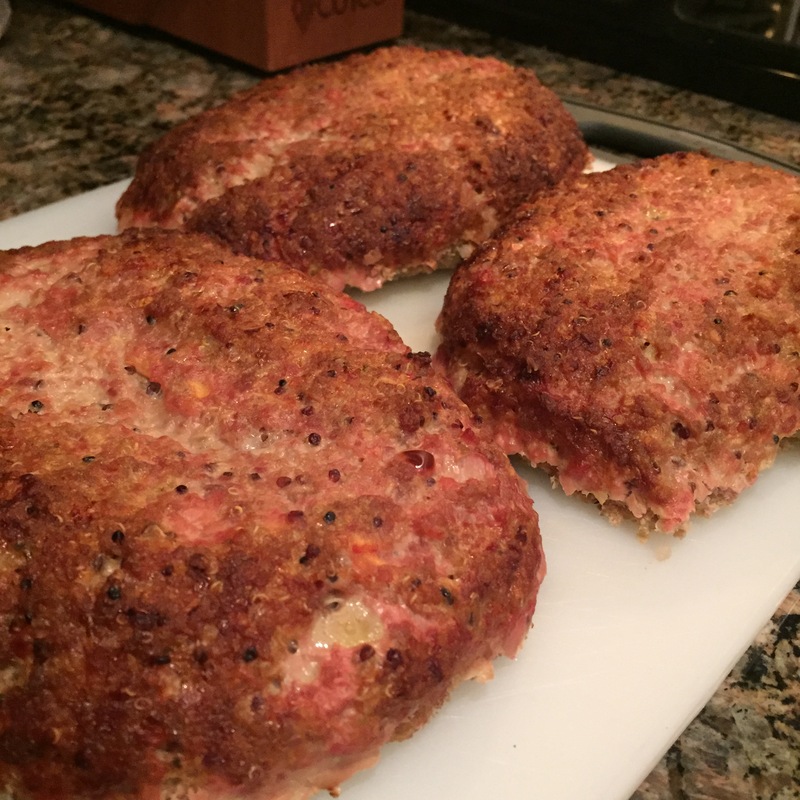 Turkey Meatloaf – 21 Day Fix Extreme Style, aka, Gluten Free! 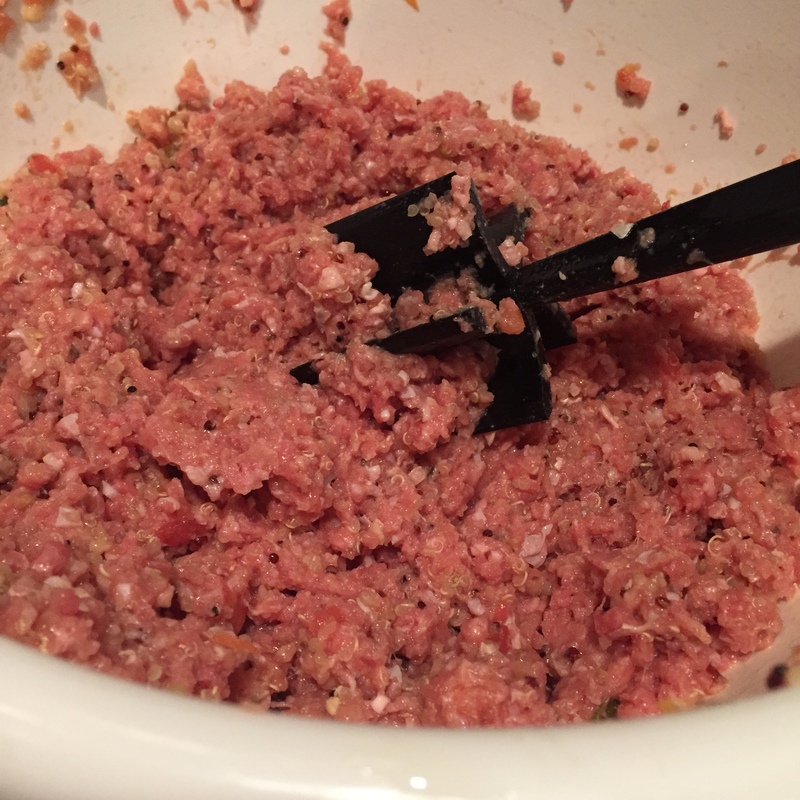 This turkey meatloaf recipe was a hit in my house!!! We have been primarily gluten free for the past 6 months now and while neither my husband or I have a “gluten allergy” we both tend to just feel better when we avoid it! 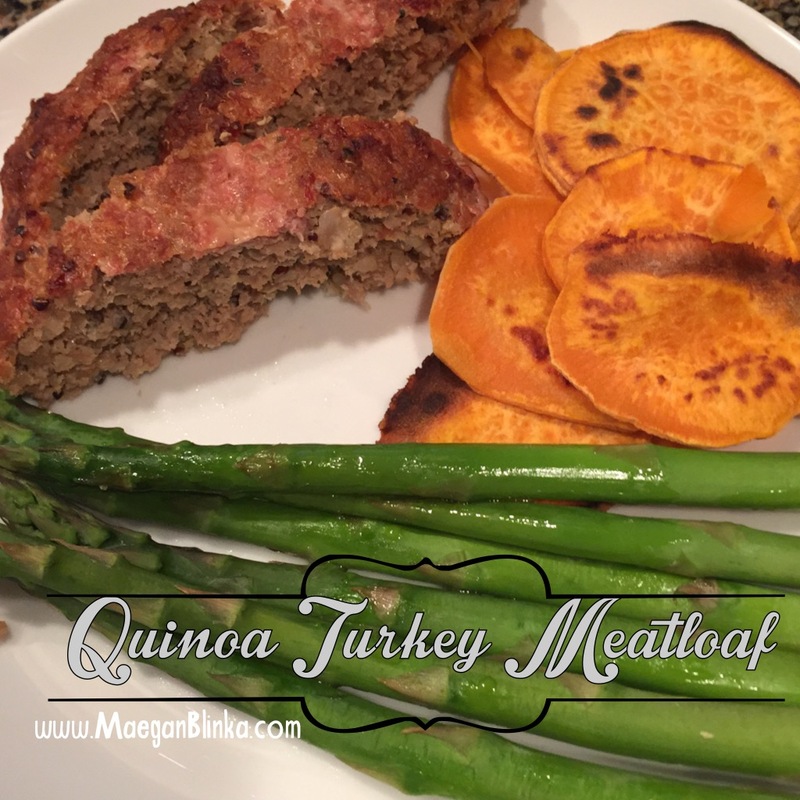 Luckily our clean eating lifestyle has made the adjustment pretty easy and why I absolutely loved this Turkey Meatloaf recipe that uses Quinoa opposed to the traditional breadcrumbs! Its simple, clean, and if you’re like me…you can easily double this up and make an extra one to freeze or enjoy throughout the week as a second dinner and/or lunches! 4. 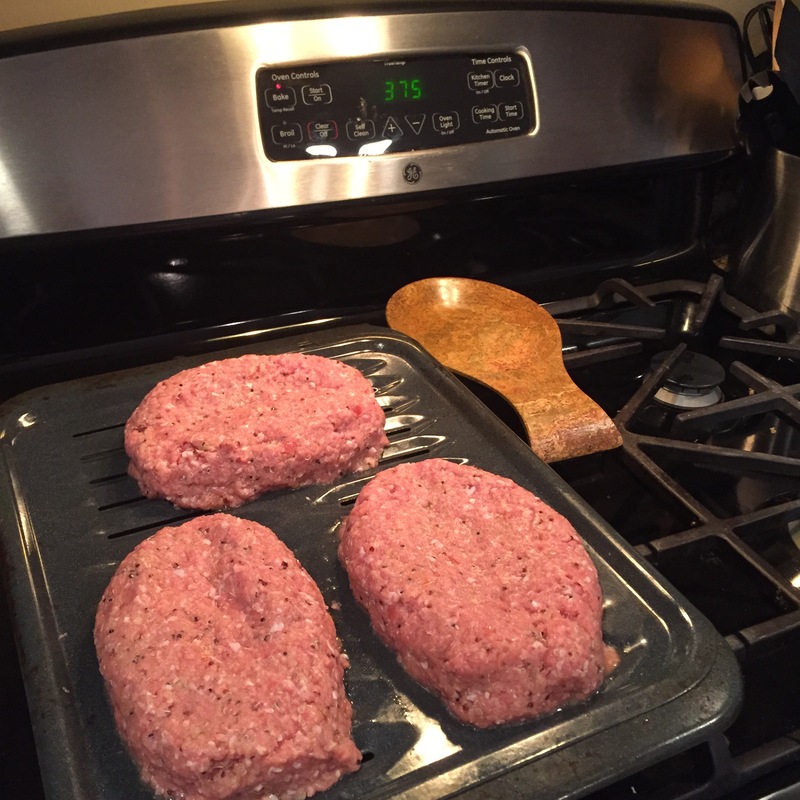 Bake for 60 to 70 minutes, or until center is no longer pink and meat is cooked through. TIP: Cut cooked meatloaf into single servings and freeze in single resealable plastic bags for future meals! I really liked the consistency of the meatloaf but next time I will likely add in some chopped peppers and spinach just because I like to sneak in those greens any chance I get! If you’re interested in learning more about clean eating and incorporating a workout/exercise routine to help you reach your health and fitness goals, I invite you to join my next accountability group! Week 2 is almost a wrap and yes, I am still SORE!!!! 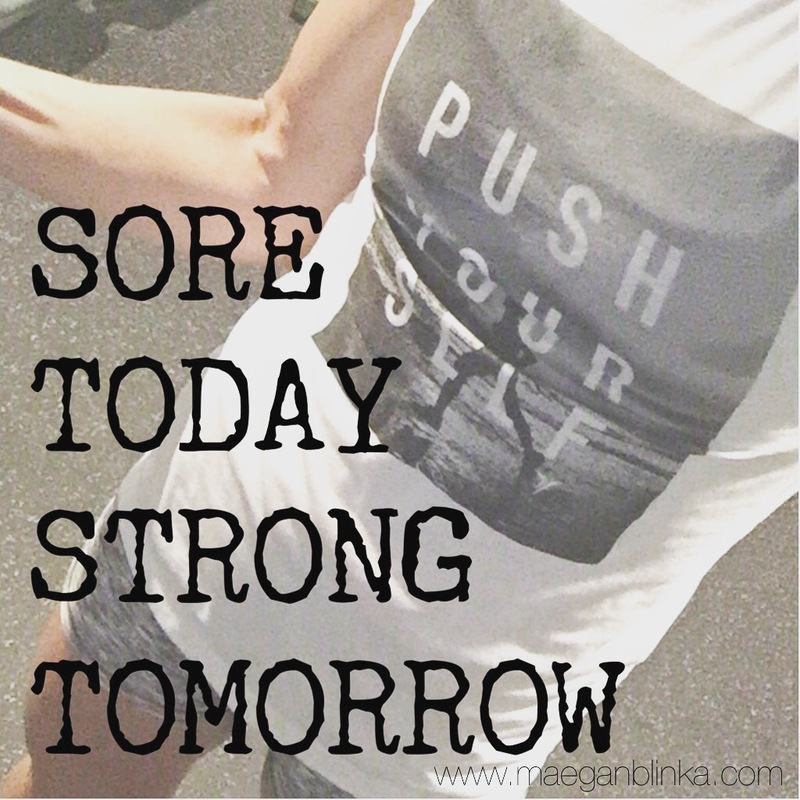 I remember this feeling from when I first started my fitness journey almost a year ago and I know the sore muscles are worth the pain and simply a result of using different muscle groups! But all in all I am really enjoying this workout program and so are all my challengers!!!! One girl lost 4 pounds in just the first week…another 2 inches just around her waist…and most are feeling better and more energized (and sore!!!) than than ever before!!! I love surrounding myself with these like-minded people!!! 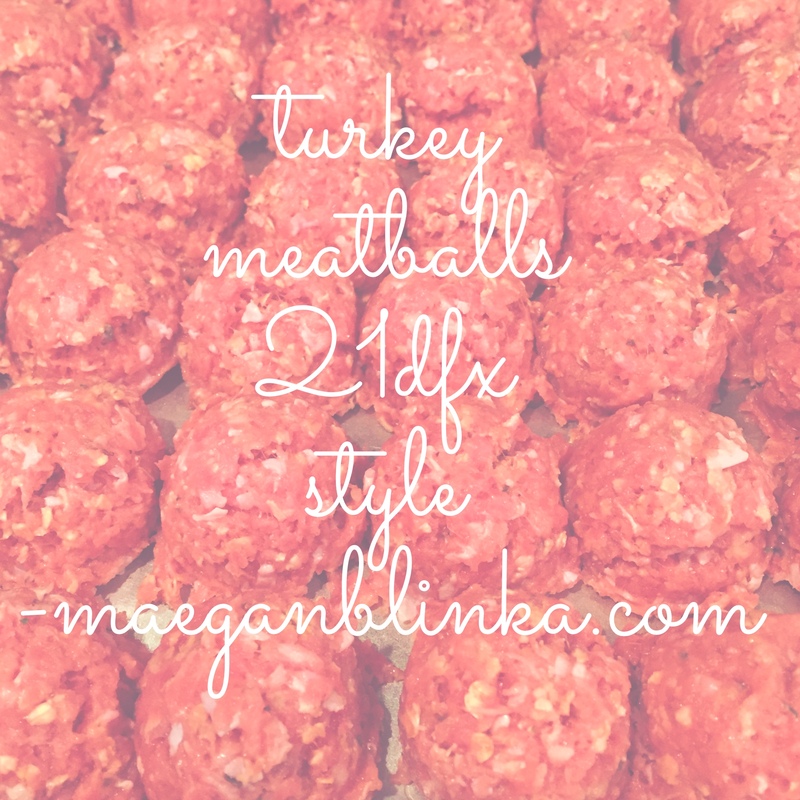 We tossed the Turkey Meatballs into the rotation this week and they sure were a crowd pleaser! I love that they are gluten free, full of flavor and freeze well – extra bonus!!!! They also made the perfect lunch on the go when my little guy and I were hanging out in the waiting room during my daughter’s gymnastics class – much better option than goldfish!!! 5. Bake for 15-20 minutes or until no longer pink in the middle. 6. Serve with your favorite sides!!! NOTE: I doubled the recipe so I could freeze half for another week. Let me know if you give them a try!!! If you’re interested in trying out the 21-Day Fix Extreme or any other workout programs I invite you to join my next accountability group!